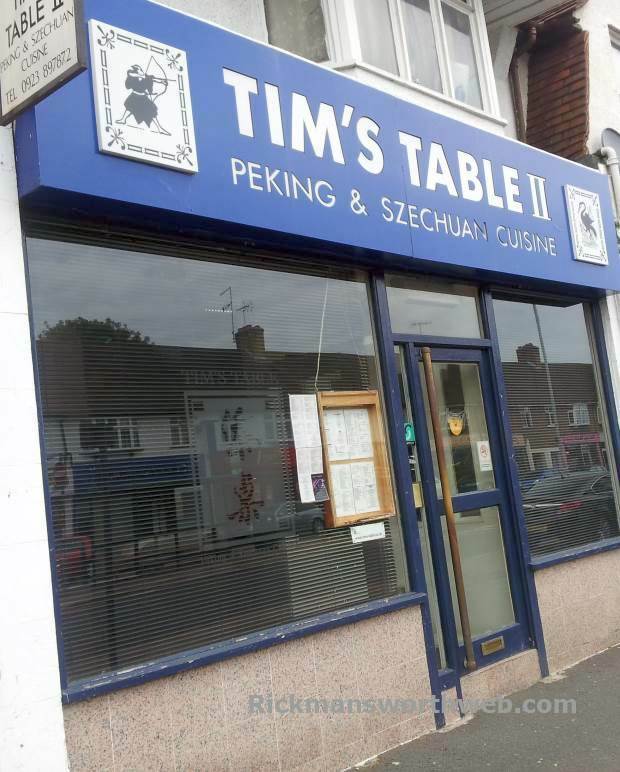 Tims Table II is a Chinese restaurant which opened in 1993, is based in Rickmansworth and has a fantastic reputation for high quality Chinese food and warm, friendly service. The menu is made up of a mix of Peking, Szechuan and Thai cuisine and includes classics such as Kung Po Prawns and Chicken with Cashew Nuts. On Monday and Tuesday evenings as well as every lunch time you are welcome to take advantage of the fantastic offer of the 3 Course Gourmet Menu for £12.00 per person.